April 2018 marked the fourth anniversary of the conflict in Donbas, the eastern region of Ukraine. Despite a ceasefire agreement signed in 2014, conflict along the densely populated areas in the vicinity of the 500 kilometre contact line continues with limited prospects of a peaceful settlement in sight. For the estimated 200,000 people residing within 5 kilometres of the line in eastern Ukraine, the conflict has become the new normal. 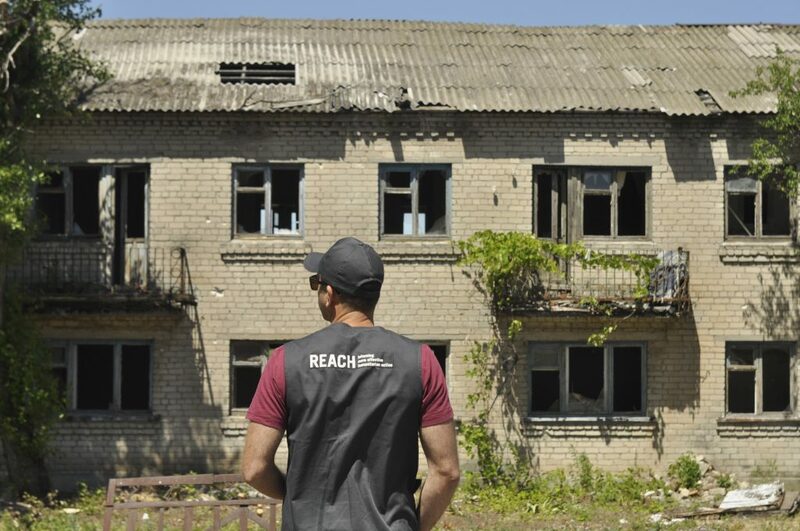 Since 2016 REACH has implemented multi-sector needs assessments or MSNAs in eastern Ukraine to inform the humanitarian programme cycle defining the strategy, resources and coordination of humanitarian actors working to respond to the impacts of the conflict. In June 2018, in close collaboration with the inter-cluster coordination group chaired by OCHA, REACH implemented its third MSNA to monitor the changes in humanitarian needs as seen in the course of the past three years. By using comparable indicators and data collection methods, the assessment focused on evaluating the development of humanitarian trends and needs from a household level. Furthermore, the assessment compared the findings in regard to the type of settlement by providing comparative data from rural and small urban areas as well as large urban centres. The MSNA findings showed little improvements in the humanitarian conditions of the assessed area over the past three years. The assessment noted protection issues to be of high concern and reported an increase in the number of households reporting shelling in areas within 5 kilometres to the line of contact. Furthermore, half of the assessed households reported children hearing shelling on their way to school giving a clear indication that the ongoing conflict and related violence is present in the everyday life of civilians. As a concrete reflection of the ongoing conflict, the assessment found that households closest to the contact line were nine times more likely to report conflict-related damages to their homes, and regular shelling to public utilities was reported to have directly affected the availability of water in these areas. The direct correlation between shelling and water availability was seen in the 16 percent of the households residing in the vicinity of the line of contact reporting daily water shortages. Despite the prevalence of water shortages, the number of households reporting daily shortages had decreased by five percent in relation to the figures from 2016. Another key finding noted the continued struggles of the residents of eastern Ukraine in reaching adequate scores on the food consumption index. According to the MSNA, 10 percent of the assessed households registered poor or borderline food consumption scores, with poor or borderline scores being more prevalent in households located in rural areas. This linkage between economic security and location were also noted in the findings on the number of households borrowing food or relying on families or friends for food. The proportion of families resorting to their community was significantly higher in rural and semi-urban settings as compared to the figures in large urban settlements. The fresh MSNA compares the humanitarian needs from 2016 to the ones reported in June 2018. Read the full report here. The MSNA also noted a slight increase in poor food consumption scores in relation to the figures from 2017, yet the figures were better as compared to the figures recorded during the winter. The latest winter assessment reported 21 percent of the assessed households within 5 kilometres of the contact line scoring poor or borderline. Another factor determining the wellbeing and health of the populations affected by the conflict was the noted loss of access to healthcare facilities. Residents living on the western side of the contact line reported losing access to major health facilities located on the eastern, non-government controlled areas. A loss of access to health facilities was voiced by more than 50 percent of the households living in the near vicinity of the line of contact – a figure that had seen a stark rise from the first MSNA in 2016 when 30 percent voiced the same concern. Based on the humanitarian trend analysis and current conflict dynamics, it is clear to conclude that the crisis in eastern Ukraine has developed into a protracted phase. Limited positive developments over the course of the past three years in terms of core humanitarian needs underscore that assistance actors should maintain their efforts and continue working with local authorities to address the needs of populations living in the conflict-affected areas. In parallel, the long-term restrictions imposed on the delivery of international assistance to the non-government controlled areas across the eastern border implies that neutral humanitarian action remains the sole mechanism to enable support to the more than three million people living on the other side of the line. For more information, have a look at the Humanitarian Trends Analysis and visit the Ukraine page on the REACH Resource Center. 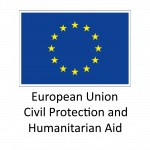 This activity was implemented with the support of the European Union through the European Commission’s Civil Protection and Humanitarian Aid department (ECHO).